Man, does Mizzou’s history department have a lot of explaining to do. Loftin had been criticized for a decision to scale back tuition waivers for graduate assistants and strip them of their health insurance subsidies. 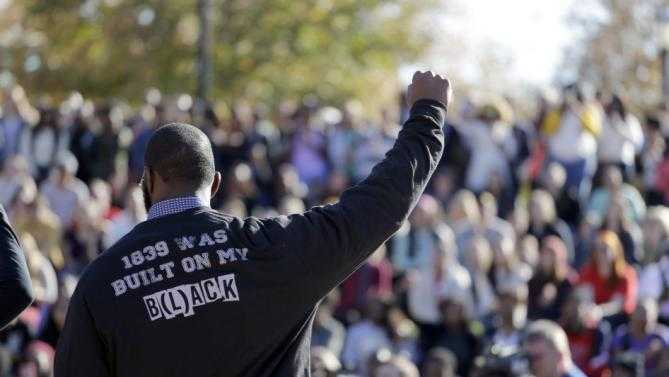 After public outcry, Mizzou reinstated the subsidies and agreed to leave the tuition waivers in place for a year. He also came under fire after Mizzou discontinued the clinical privileges for a Planned Parenthood physician and terminated multiple relationships with different Planned Parenthood affiliates in September. Loftin was also subject to a vote of no confidence by the faculty of the Department of Romance Languages for creating a, “climate of mistrust, miscommunication, chaos, despair, and anger.” (Is that the department of Romance LANGUAGES or just romance?) That didn’t completely have to do with blacks raising cain for no real reason. And then there is the little matter of the Missouri State legislature investigating the teaching hours of the faculty and staff at the university as outlined by a reporter from The Hill this morning on Fox News after he interviewed Missouri Lt. Governor Peter Kinder. (Will find a link.) There is a lot of waste going on, and the current system president and chancellor were trying to get expenses down. This didn’t go over well at all, as one of the messages from the faculty, staff and students started shouting about needing an educator at the top of the pyramid instead of a bean counter. Amazing how the national media people – and all the “experts” claiming the whole disaster is stemming form Ferguson and the #BlackLivesMatter Soros induced social upheaval – never bothered to consider this angle. THIS IS ABOUT USING RACE TO GET RID OF THE PEOPLE WHO CUT THE BUDGETS. Facts are facts. This writer said it yesterday, the hunger strike by graduate student Jonathan Butler just happened to come about not even a day after the system announced the demise of the School of Public Policy and Administration on the UM St. Louis campus, plus a whole lot more cuts. The other two campuses in the system – UM Kansas City and UM Science and Technology (Rolla) – have been more quiet, but their budgets have been cut as well. So much for cutting the budget. So, who is in line to take over this job: Jay Nixon or Claire McCaskill? Neither are electable in a state-wide race. If they appoint some 76 year old Bernie Sanders looking professor as a caretaker, the smart money will be on Jay. Its that darn Peter Kinder who has screwed this up. If he hadn’t won, Jay could have resigned and taken it now. Of course, Claire could resign now and Jay would get to appoint her successor–except he couldn’t appoint himself without that darn old Kinder messing it up. Welcome to the wonderful world of Missouri politics where the university system is fair game for the Democrats, except that Republicans keep winning state-wide offices. Race may have been the excuse to get the job done, but the truth is that the main goal was to get rid of Tim Wolfe from the University of Missouri System. Mission accomplished. That being said, we out here in flyover country are waiting for the other shoes to drop. BTW, there’s a lot more when it comes to how screwed up the university finances are on a political level. Hopefully, Kinder can get an audit going and expose more. BREAKING: Killings In Canada! Madman Attacks Innocents!